This entry was posted in Objects and Artifacts, Visual Art and tagged alchemical, amulets, aria nadii, art, charms, ouroboros by Aria Nadii. Bookmark the permalink. Like I said, LOVE! I am really glad you did these, why did you wait so long? Hee hee :-) Do a Virgo! Why did I wait so long? I am slow. My time is warped. Haven’t you not noticed? OMG how beautiful! Is that ourosboros pendant for sale? Thank you. 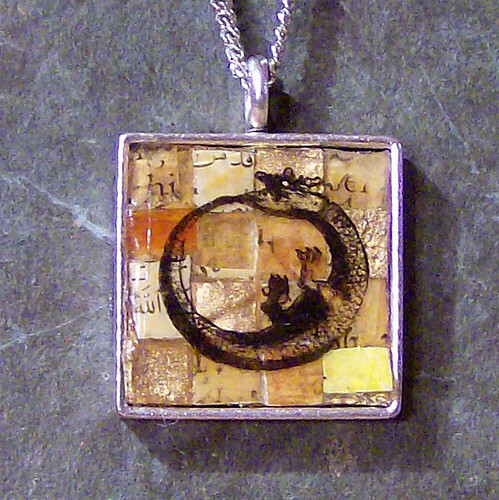 That ouroboros pendant sold while I was typing the post. I almost kept him for himself. Oh, beautiful! 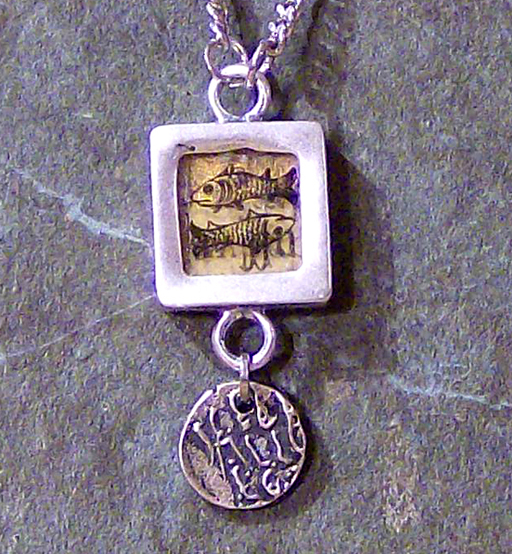 I hope you will have some pendants for sale soon — I always am looking for nice necklaces and pendants. Thank you. I am working on more pendants. They take a little time because they are constructed just like my larger work with all the layers and need proper drying time. I have good bezels ready for them. Those are so beautiful. I too hope you make some more and sell them. Thanks. I like them so it only makes sense to make more. I just have to find the time. you know, those are beautiful. good damn job. Thank you for the words. I appreciate it. These look fabulous as necklaces!!! Thank you. I’ve wanted to try this for a long time. these are really really beautiful. looks like you’ve got a zodiac theme going. 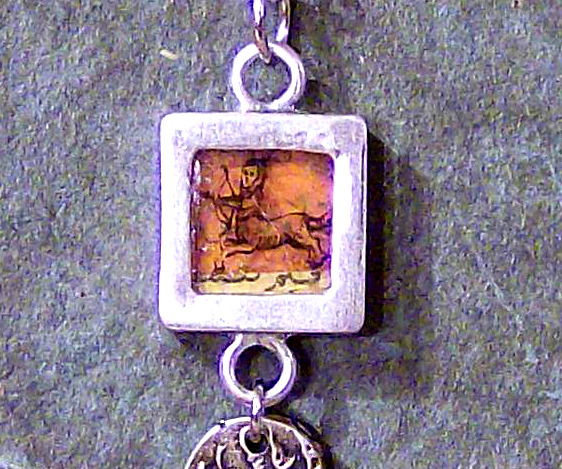 I have other charms that are not zodiac signs. I just happened to be drawing those when I decided to make something as small as possible. It is crazy how many people are out of work. It never crossed my mind that I would see this in my lifetime. *GASP* I was about to ask if I could lay claim to a Sagittarius when you made one, and then I see a Sagittarius there! Eep! Is it still available? How much are you selling them for? I love the first one. How about going tinier to earrings? It is the only jewelry I can stand touching my skin. Do you mean two tiny little ouroboros as earrings? Thank you. They are made with extra love. I love them. I want one but unfortunately I am poor. Hopefully you’ll make more when I have money! I understand. It seems everyone is a little poorer these days. I do appreciate the just looking not buying too. That’s mostly what I do.